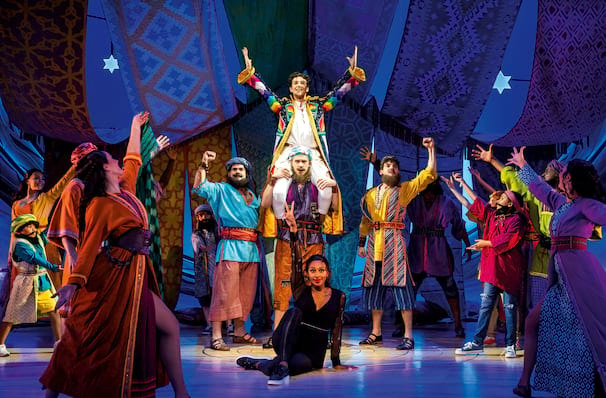 Why See Joseph And The Amazing Technicolour Dreamcoat? Start practicing those colours, Joseph is back! Celebrating 50 years of the man and his thoroughly extravagant threads, Andrew Lloyd Webber and Tim Rice have buried the hatchet and are reviving their biblical flavoured favourite in a shiny new production at the London Palladium in summer 2019. Jason Donavan returns the show as the Pharoah, opposite Sheridan Smith as the Narrator and newcomer Jac Yarrow as the man himself! First fashioned as a musical concept album that was performed at Colet Court School, the success of the duo's next venture, Jesus Christ Superstar, saw a revival of interest in the show, with its first West End production following in 1973. Since then, it has gone on to become an international megahit, a highly sought after show that sees productions range from glitzy theatrical juggernauts to delightful local concerts, all capturing the magic of ALW and Tim Rice's exuberant music and storytelling. Upon joining the pantheon of past Josephs, including Lee Mead, Philip Schofield, Donny Osmond and Donovan himself, Yarrow said: "I can't quite believe it. Here I am, 21 years old, still at drama school and come June I'll be standing centre stage ... singing the iconic music and lyrics of Andrew Lloyd Webber and Tim Rice. My dream came true." With songs ranging from hopeful ballads (Any Dream Will Do) to vaudeville and rock'n'roll infused confections (King of My Heart and Benjamin Calypso among many others), Joseph tells the story as written in Genesis, of the youngest brother of 12 and the extraordinary journey he is sent on when his siblings set out to kill him for being his father's favourite. From attempted murder victim to pet of the Pharoh of Egypt, Joseph soars with his singular talent of being able to interpret dreams and predict the future. But don't let all that murder stuff put you off, this is a joyful show brimming with heart, hope and a lot of showbiz pizazz! So, if you're looking to join the party and celebrate half a century of this musical theatre classic, this is one event you won't want to miss as it pitches up at the Palladium for a 12 week run next summer. 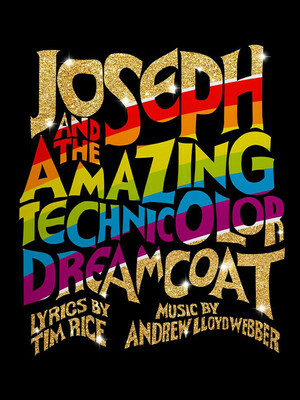 Seen Joseph And The Amazing Technicolour Dreamcoat? Loved it? Hated it? Sound good to you? Share this page on social media and let your friends know about Joseph And The Amazing Technicolour Dreamcoat at London Palladium. Please note: The term London Palladium and/or Joseph And The Amazing Technicolour Dreamcoat as well as all associated graphics, logos, and/or other trademarks, tradenames or copyrights are the property of the London Palladium and/or Joseph And The Amazing Technicolour Dreamcoat and are used herein for factual descriptive purposes only. We are in no way associated with or authorized by the London Palladium and/or Joseph And The Amazing Technicolour Dreamcoat and neither that entity nor any of its affiliates have licensed or endorsed us to sell tickets, goods and or services in conjunction with their events.